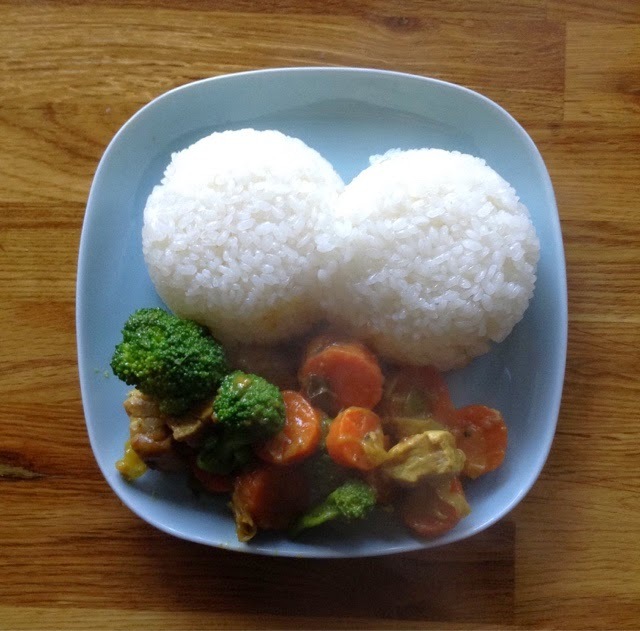 One of the easiest Japanese dish to cook is curry-rice (pronunce "karey-rayiss"). I like because it is quick to prepare, and it's a warm dish you can make with whatever you have in the fridge: perfect for a Sunday lunch after spending hours in the cold treaming trees in the garden. You can use only vegetables, meat, fish or mix vegetables with meat or fish. The variety of ingredients has only the limit of your imagination! So once decided what to put inside it is super easy. I always start with an onion or a leek that I cook with a bit of oil (olive or not) or butter. Once almost brown I add carrots, sweet potatoes, potatoes, meat if any... And half cook them. 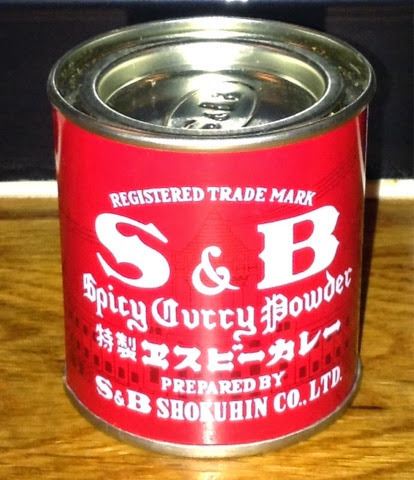 Then I add a spoon of curry spice, the quantity depends on how strong you like your curry, I like mine tasty but not hot. Then add some grinded black pepper, a bit of Japanese 7 spices (shichimi). Now it's time to prepare the roux. For that add flour and stir well the vegetables. Finally add water. In Japan there are all kinds of curry-rice, some very liquid, some quite compact. This just depends how you like it and how long you cook the roux, anyway, you can add water anytime if you find yours too thick. Ready to serve with some white Japanese rice (for some reason I find it much better than with briwn rice). Japanese eat that dish with a spoon!